Nature is the main Kill Devil Hills, NC, attraction, and the town’s beautiful beaches bring visitors to our shores year after year. 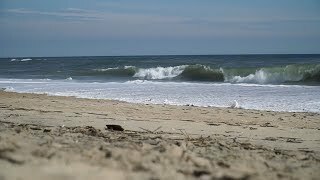 Below, we've provided some information on how to enjoy Kill Devil Hills' beaches safely and with respect for the fragile ecosystem of the barrier islands and the power of the ocean. Whether you're a surfer, kiteboarder, kayaker or sunbather, Kill Devil Hills is the perfect place to pursue your favorite outdoor activities. You can't visit Kill Devil Hills, NC, attractions without seeing the place where flight began. Visit the Wright Brothers National Memorial. There are several temporary additions to the site that were placed there during the centennial celebration, so this is a great time to visit and see the special exhibits. Don't forget to take a look at our Calendar of Annual Events. There are exciting things happening on the Outer Banks year round, so you may just have to come back!